It's traditional for brides to look for makeup artists to do their makeup; however, if you don't have money to hire an artist or you are uncomfortable when your makeup is done by someone else, you don't have to worry. This is because you can apply makeup by yourself. Here you need to use an eye cream and face primer. The eye cream helps you to easily apply the under eye concealer while the primer helps you to improve you skin's texture for foundation application. For a perfect look you need to do your lips. For a natural look, you should apply lip stain then finish with gloss. To mute the color of the stain as desired, you should add light color gloss. You should be cautious and avoid adding too much light color gloss. 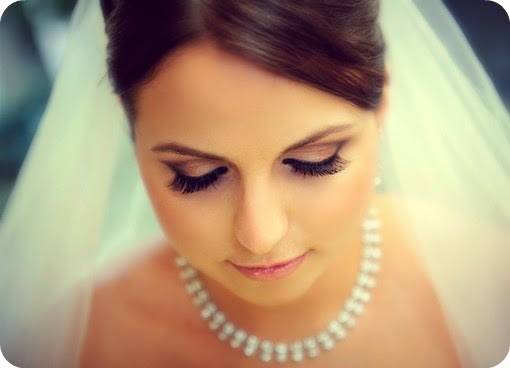 If you don't have long eye lashes, you should consider applying false lashes. The good side with false lashes is that they aid in popping your eyes which is great for pictures. For a natural look, you should go for individual lashes. Here you should apply the individual lashes to the lash line alternating sizes then complete the look by applying a thin black liner on top in order to hide the roots of lashes.